TORONTO (May 2, 2012) – The National Hockey League Players’ Association (NHLPA) announced today that Henrik Lundqvist of the New York Rangers, Evgeni Malkin of the Pittsburgh Penguins and Steven Stamkos of the Tampa Bay Lightning have been selected as finalists for the 2011-12 Ted Lindsay Award. The Ted Lindsay Award is presented annually to the “Most Outstanding Player” in the NHL, as voted by fellow members of the NHLPA. 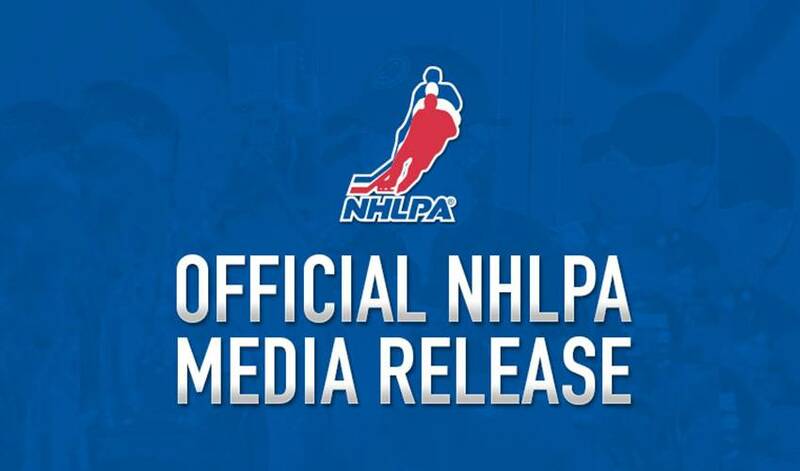 This year’s group of finalists – Lundqvist, Malkin and Stamkos – ensures that there will be a first-time recipient named when the Ted Lindsay Award is presented at the 2012 NHL Awards in Las Vegas on June 20th. Henrik Lundqvist, of Are, Sweden, appeared in 62 games during the 2011-12 season, leading the New York Rangers to their best regular season record since 1993-94. He set career-best marks in save percentage (.930) and goals-against average (1.97), ranking fourth in both categories. Henrik also set a career-high in wins (39), finishing third in the category, and tied for third among goaltenders in shutouts (8). He is the only goaltender in NHL history to record at least 30 wins in each of his first seven seasons. This is Henrik’s first nomination as a finalist for the Ted Lindsay Award. The four-time Vezina Trophy nominee would become just the third goaltender to receive the “Most Outstanding Player” award as voted on by the players, joining Mike Liut (1980-81) and Dominik Hasek (1996-97, 1997-98), and he is the first goaltender to be nominated since Roberto Luongo was a finalist (2006-07). Evgeni Malkin, of Magnitogorsk, Russia appeared in 75 games for the Pittsburgh Penguins in the 2011-12 season. Evgeni led all NHL players in regular season scoring (109 points) to earn his second Art Ross Trophy (2008-09). He finished with more than 100 points in a season for the third time in his career, while finishing third in assists (59) and second in goals (a career-high 50). He also led the league in shots (339) and tied for fourth in game-winning goals (9). This is Evgeni’s third nomination by his peers as a finalist for the “Most Outstanding Player” award (2007-08, 2008-09). The former Calder Trophy recipient (2006-07) would become the fourth Penguins player to receive the “Most Outstanding Player” award as voted on by the players, following Mario Lemieux (1985-86, 1987-88, 1992-93, 1995-96), Jaromir Jagr (1998-99, 1999-00, 2005-06) and Sidney Crosby (2006-07). Steven Stamkos, of Markham, Ontario, appeared in all 82 games in the 2011-12 season with the Tampa Bay Lightning, for the third consecutive season. For the second time in his young career, Steven led the league in goals (60) to earn the Maurice Richard Trophy, becoming only the 19th player in NHL history to record 60 goals in a season. He also finished second in points (97), tied for first with Radim Vrbata for most game-winning goals (12), and scored the most overtime-winning goals (5) – an NHL record. This is Steven’s second consecutive nomination by his peers as a finalist for the Ted Lindsay Award (2010-11). He would become only the second member of the Lightning to receive the “Most Outstanding Player” award as voted on by the players, joining teammate Martin St. Louis (2003-04). The NHLPA also launched the 2011-12 Ted Lindsay Award Contest today on www.nhlpa.com. Fans are encouraged to select the Ted Lindsay Award recipient, just like the players do. A random draw will take place following the 2012 NHL Awards in Las Vegas NV, to determine the Grand Prize winner, as well as the second and third-place finishers. Fans and media are encouraged to visit www.nhlpa.com for further information on the Ted Lindsay Award, finalist profiles and contest information.